Tanunda is central to the Barossa Valley in South Australia. We were recommended to visit (and book early) by two American ladies we met at Trentham Winery on the Murray River near Mildura, NSW. Evenings were fully booked so we settled on Sunday lunch. 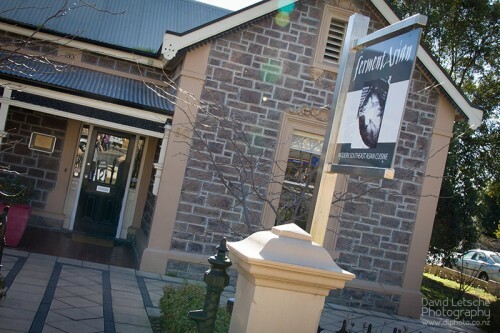 The fermentAsian Restaurant is set in a stone built villa on the main street in Tanunda. A beautiful, cool building when it is hot outside. 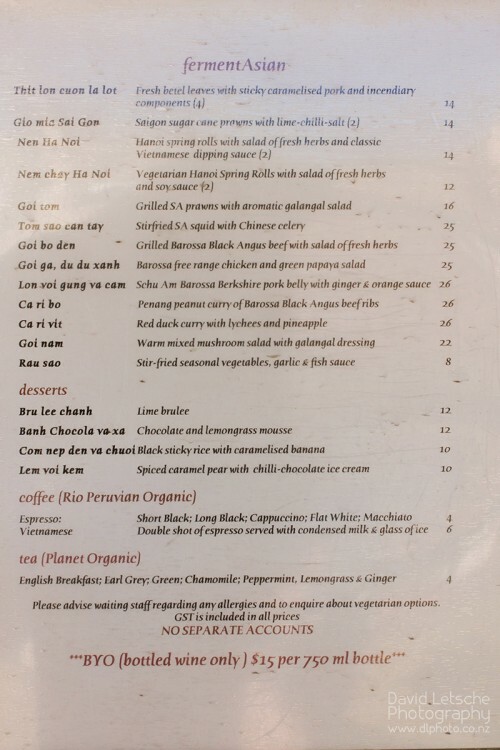 The menu is concise but the combination of dishes would appear to work very well together and incorporates local ingredients . 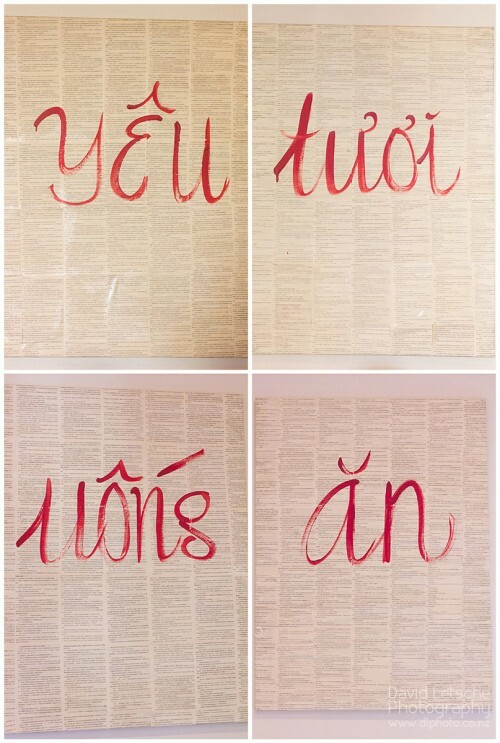 The wine list of Grant Dickson (Co owner and husband of Tuoi Do) is legendary and comes as a near book describing each wine. Fortunately, Grant who is front of house, has excellent wine knowledge and will help you select the perfect glass of wine to accompany each course (he also works at the local Barossa Valley winery Rockford). 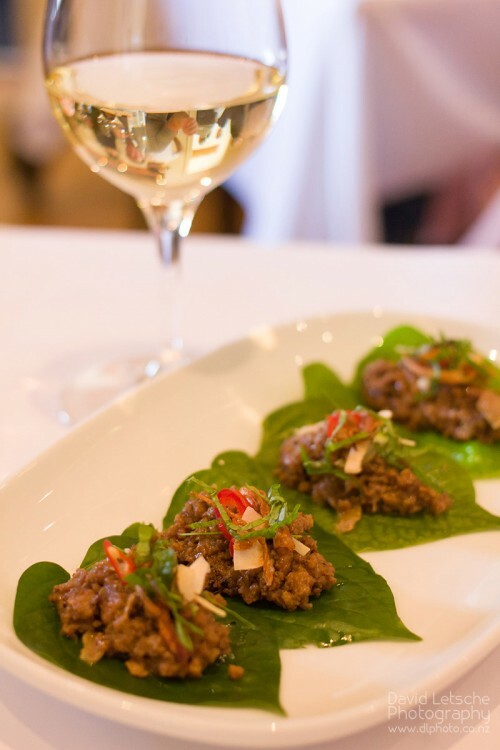 Thit lon cuon la lot – Fresh betel leaves with sticky caramelised pork with incendiary components. Any meal that has “incendiary components” has to be chosen from the menu. Nothing we ordered was insanely hot, just a clean chilli-like heat that most people could cope with. 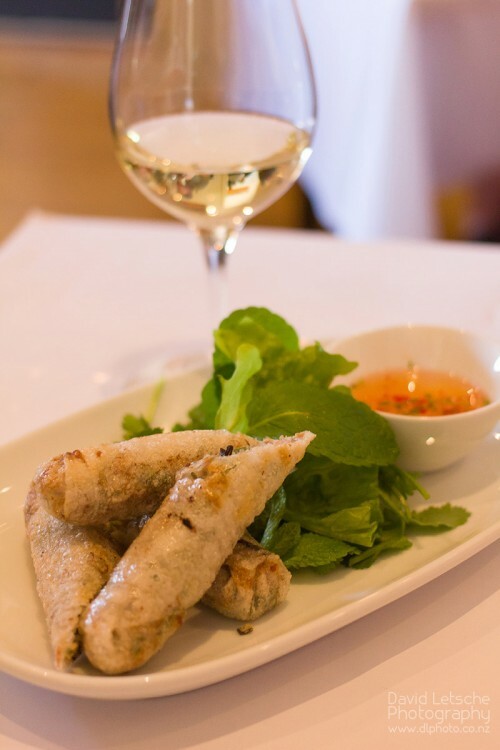 Nen Ha Noi – Hanoi spring rolls with salad of fresh herbs and classic Vietnamese dipping sauce. 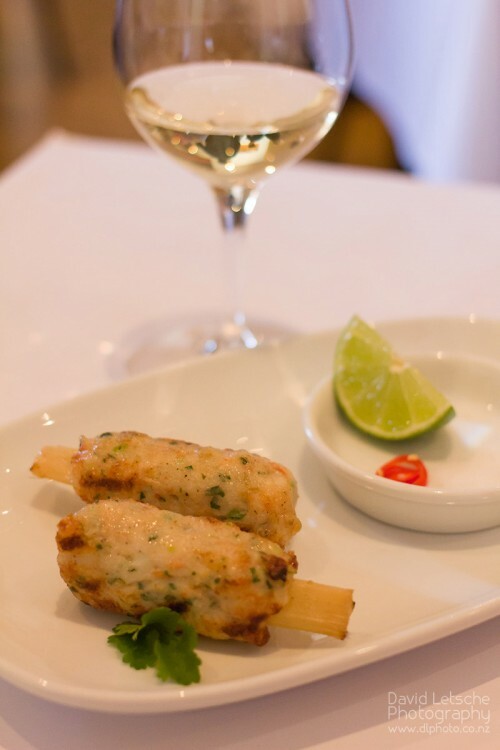 Gio mia Sai Gon – Saigon sugar cane prawns with lime-chilli-salt. The sugar cane “stick” can be chewed to release the natural sweetness after eating the prawn. 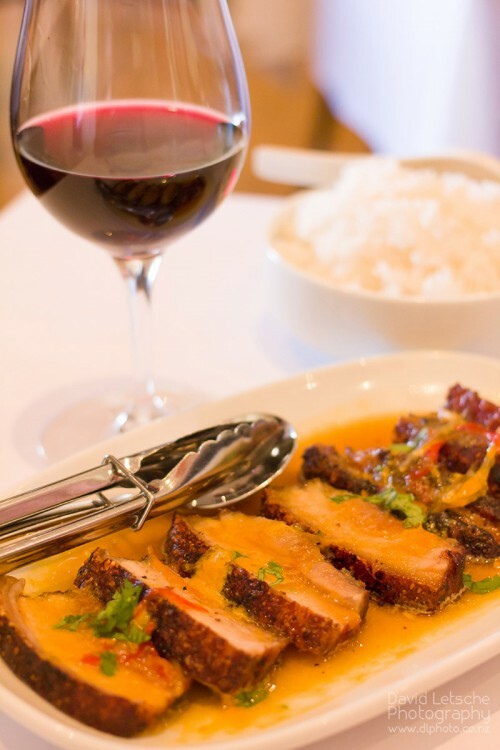 Lon voi gung va cam – Schu Am Barossa Berkshire pork belly with ginger and orange sauce. 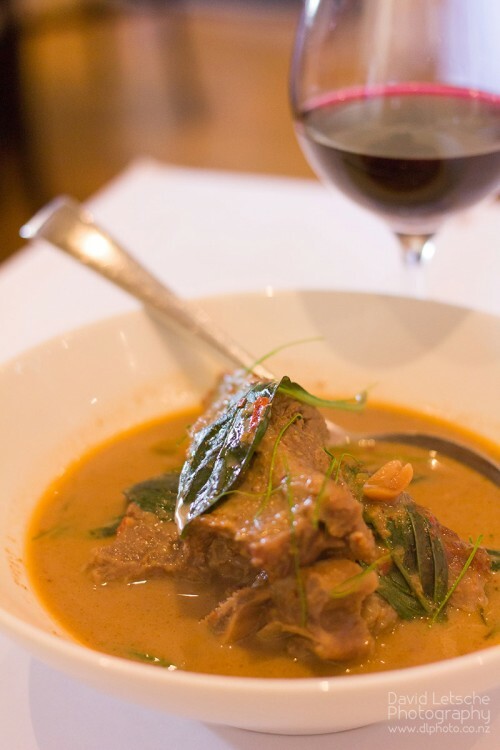 Ca ri bo – Penang peanut curry of Barossa Black Angus beef ribs. As we were having our main courses a larger family group arrived who were fairly noisy, not in a terrible way but perhaps more than this restaurant is used to. Grant offered us a complimentary glass of red wine which we thought was a nice touch. Desserts were just as good as the first two courses, Chocolate and lemongrass mousse and Black sticky rice with caramelised banana. 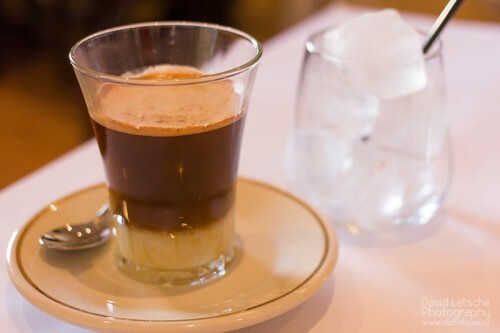 To complete the meal we ordered Vietnamese coffee – a double expresso with condensed milk and ice. It’s a DIY job! 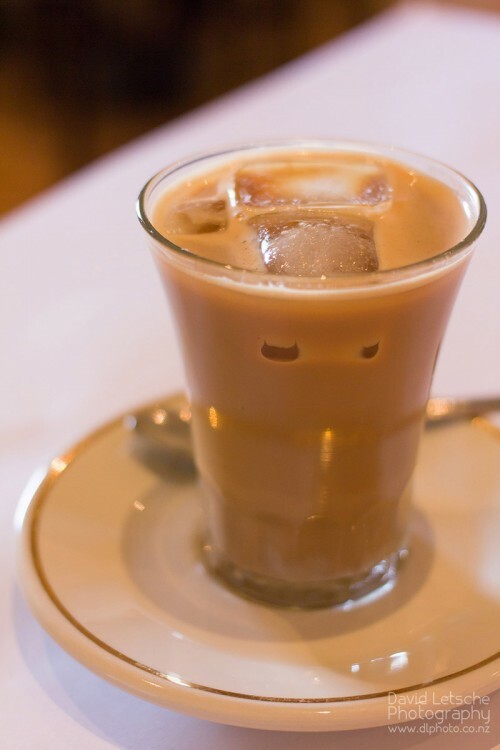 Add the condensed milk to taste and then the ice. The interior decor is simple and pleasant. We read on Trip Advisor that people felt rushed occasionally but we did not feel this in the least, quite the opposite. The restaurant feels family run, we could see into the busy kitchen which added to the experience. After the lunch serving was complete, Tuoi Do, Chef and Owner, left the kitchen and visited each table to enquire if diners had enjoyed their meals – another nice touch. This was the best Asian food we had ever had. What can only be imagined as more authentic and cooked so that each delicate flavour is preserved. The dishes are not stodgy as can be the case in some other Asian restaurants we have experienced. The wine list and the help in choosing the right wine is first class, as you would hope for in the Barossa Valley. 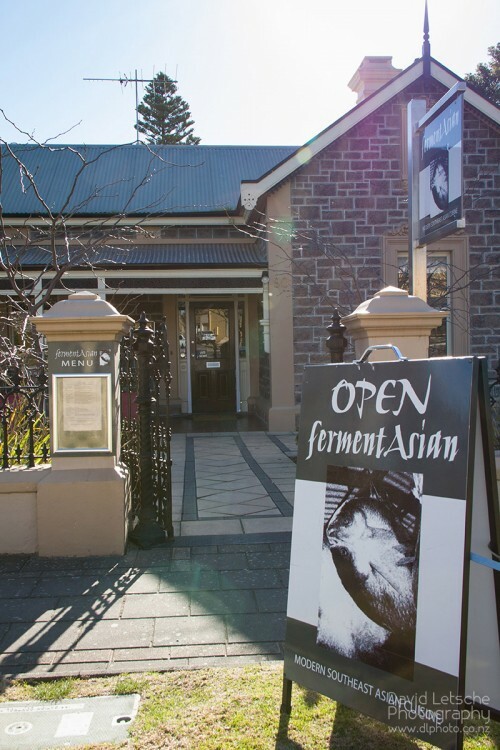 If you want to experience fermentAsian we would recommend that you book a couple of weeks ahead if you have a specific date and time when you will be around Tanunda.